The positions of every team in the SPL which will vote on whether to admit a Rangers newco on July 4. 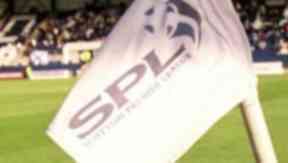 The 12 Scottish Premier League member clubs will meet on July 4 to decide whether to admit a new company to the league. 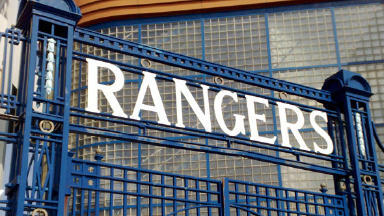 The newco, currently known as Sevco 5088 but which plans to trade as The Rangers Football Club, will seek to transfer the share of Rangers FC to itself in order to compete in the SPL next season. 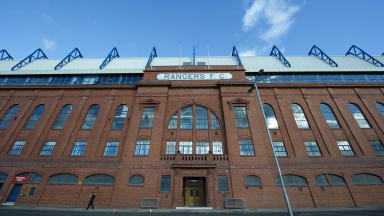 The Rangers Football Club PLC, which remains in administration ahead of a liquidation process while the newco is set up by businessman Charles Green, will get a vote through its existing share. This will be cast by the administrators, Duff and Phelps. A majority of eight votes to four are required to allow the newco to assume the place in the SPL. Under pressure from fans, the majority of whom are opposed to allowing a newco to enter the SPL, many clubs have stated their position prior to the vote. 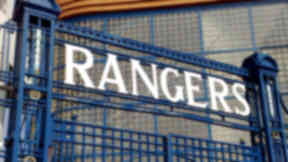 Stewart Milne, chairman: “Traditionally we have preferred not to make public our voting intentions, but in light of the level of interest and the fact other clubs have chosen to show their hand, on this occasion I can confirm it is our intention to oppose readmission to the SPL for any Rangers NewCo. "If readmission were to be refused, webelievethe appropriate course of action would be for Rangers NewCo to apply for membership to the SFA and to submit an application for admission to the SFL. "Reorganisation of the game is a priority and is something we have been actively involved in for a long time, but it is not something that should be rushed through just to deal specifically with one club. Peter Lawwell, chief executive: “We are fully aware of our supporters’ concerns regarding the current situation across Scottish football and the breadth of opinion within our supporter base. The issues are complex and there is much uncertainty. Stephen Thompson, chairman: “The Board of Directors of Dundee United are unequivocal in the belief that a form of sporting punishment must form part of the reasoning behind any decision made and, therefore, cannot vote the newco into the SPL. "General sporting integrity and, more importantly, the integrity of Scottish football must also play a significant part in the decision making process. 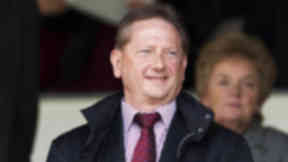 Vladimir Romanov, owner: "The football mafia represented by former owners of Rangers FC and Rupert Murdoch's media are to blame for some of the worst problems to hit Scottish football and must not be allowed back in under any circumstances. "It had to happen sooner or later. Victories were achieved not by sporting merits, but through slander, conspiracies amongst players and their poaching via third parties, unfair pressuring of referees, who in themselves are as valuable to the fabric of football as the football stars themselves. Hibernian club statement: "Following a meeting of its Board of Directors, Hibernian FC confirmed that the Club will vote against the transfer of the Rangers share in the SPL to a newco at the General Meeting of SPL clubs on 4 July 2012. Kenny Cameron, chairman: "The club will be voting 'no' to an application for SPL entry from a new company which has acquired the assets of Rangers following the liquidation of the previous company. "Having considered all the options and following a very productive discussion with the Supporters Trust Board members the ICTFC directors are unanimous in their decision. "We have listened to all our customers and taken the decision and we now look forward to their support going forward. 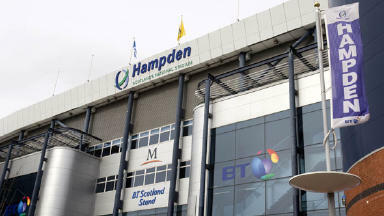 Michael Johnston, chairman: "It is the club's intention to consult directly by post and email with our most important stakeholders - shareholders and season ticket holders. "We are well aware of the strength of feeling that has already been articulated on this issue but believe that it's important for every shareholder and adult season ticket holder to be provided with an opportunity to contribute a personal opinion. Club statement: "The Board of Motherwell FC asked members of the ‘Well Society and shareholders to vote on the question of whether Motherwell should vote to allow a ‘Newco Rangers’ to remain in the SPL in 2012/13 season. Charles Green, owner ‘The Rangers Football Club’: "An application has already been made by the company to register with the Scottish Football Association and to participate in the SPL. Board statement: “The present economic climate has made it extremely difficult for anyone involved in football and any reduction in income will have a serious impact on this Football Club. "Notwithstanding the potentially damaging financial implications, the Board believes that sporting integrity should not be sacrificed in favour of economic expediency. "Over the last few weeks there has been a mounting groundswell of opinion amongst our fans which has clearly shown that the vast majority of our supporters would not favour an application by newco Rangers to the SPL. This has simply reaffirmed the Board's position. "It is important that a clear and unambiguous message goes out from the custodians of Scottish Football that this sort of scenario should never be allowed to happen again. "As a result, St Johnstone Football Club will not support an application by newco Rangers to join the SPL. Chairman Stewart Gilmour: "I made it perfectly clear that our directors' view was that our club would not be voting for a newco entry to the SPL, directly to the officials of Rangers Newco. "This meeting was held in confidential circumstances to allow both parties to enable the other to see there respective positions.